Презентация на тему: "Madame Tussauds The museum in Amsterdam Madame Tussauds is a wax museum in London with branches in a number of major cities. It is a major tourist attraction.". Скачать бесплатно и без регистрации. 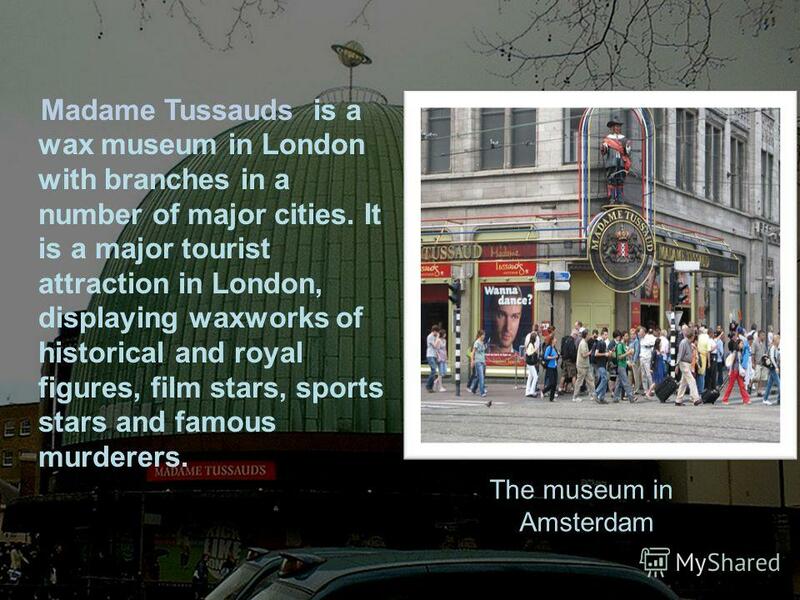 3 The museum in Amsterdam Madame Tussauds is a wax museum in London with branches in a number of major cities. 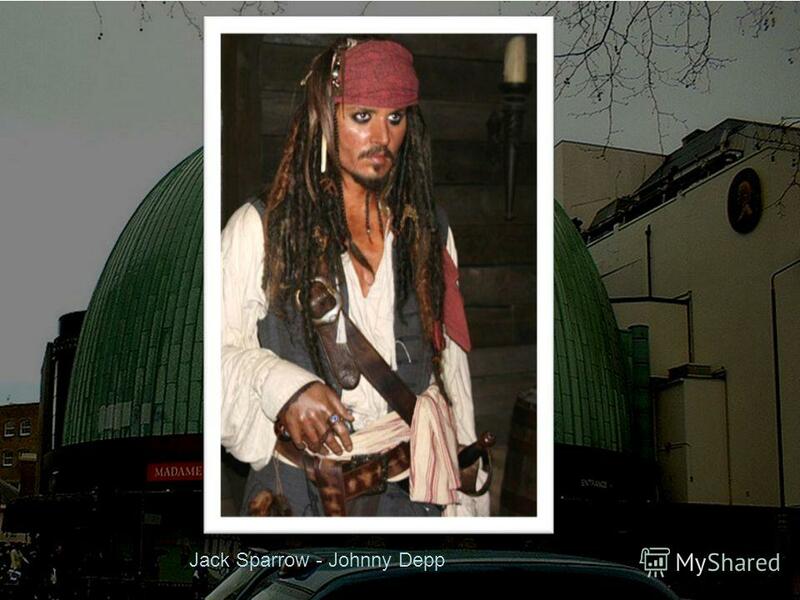 It is a major tourist attraction in London, displaying waxworks of historical and royal figures, film stars, sports stars and famous murderers. 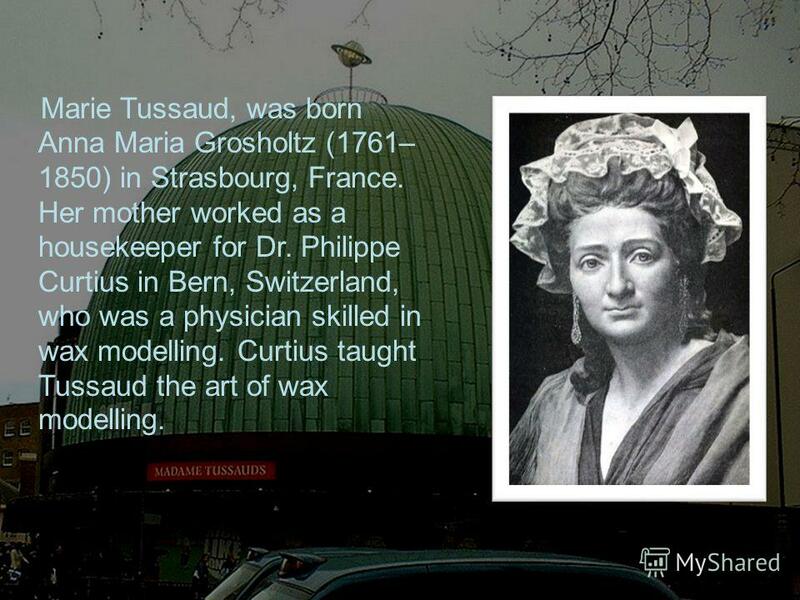 4 Marie Tussaud, was born Anna Maria Grosholtz (1761– 1850) in Strasbourg, France. Her mother worked as a housekeeper for Dr. Philippe Curtius in Bern, Switzerland, who was a physician skilled in wax modelling. Curtius taught Tussaud the art of wax modelling. 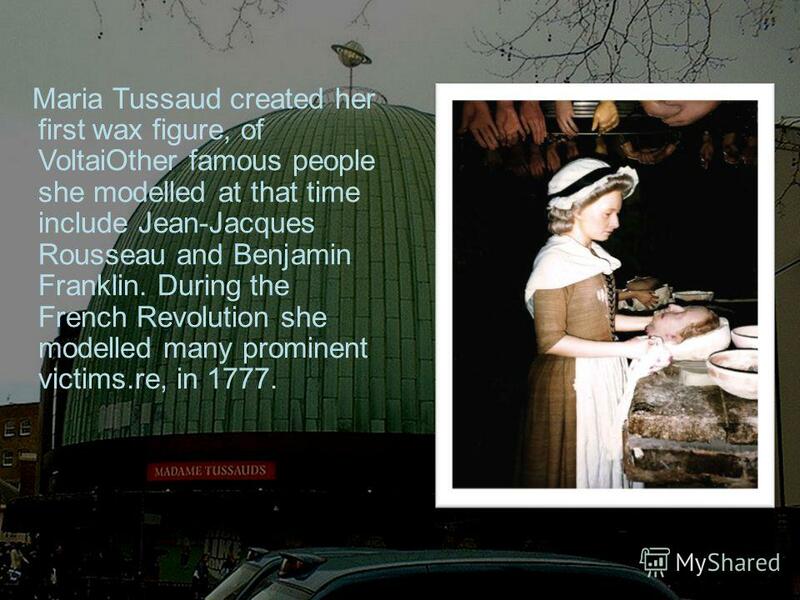 5 Maria Tussaud created her first wax figure, of VoltaiOther famous people she modelled at that time include Jean-Jacques Rousseau and Benjamin Franklin. During the French Revolution she modelled many prominent victims.re, in 1777. 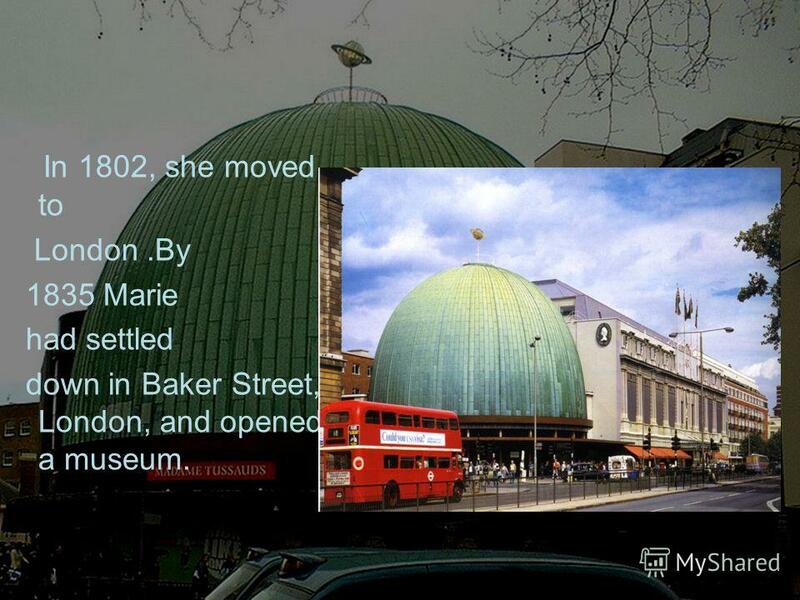 6 In 1802, she moved to London.By 1835 Marie had settled down in Baker Street, London, and opened a museum. 7 One of the main attractions of her museum was the Chamber of Horrors. This part of the exhibition included victims of the French Revolution and newly created figures of murderers and other criminals. Madame Tussauds. 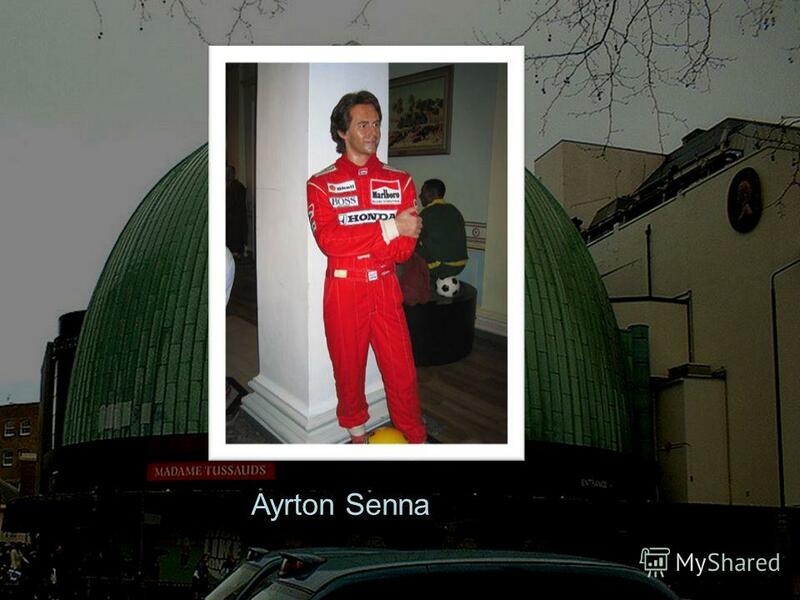 Madame Tussauds is a wax museum in London with branches in a number of major cities.wax museum. MADAME TUSSAUDS. 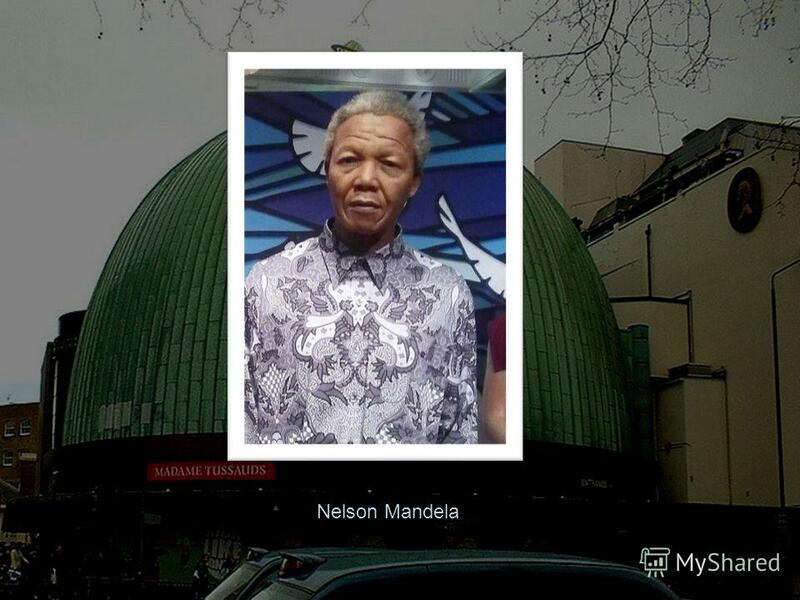 Madame Tussauds is a world famous waxworks museum, which is situated in London. Madame Tussauds Museum Работа по английскому языку ученицы 5 Б класса Шараповой Анастасии. Madame Tussauds. Do Sherlock Holmes & Las Vegas have anything in common? Trafalgar Square The British Museum Westminster Abbey. Museum Madame Tussauds. Do Sherlock Holmes & Las Vegas have anything in common? Madame Tussauds Waxworks Museums Around the World Madame Marie Tussaud: 1761 - 1850 Done by Belikova Marina Pavlovna school 9 Stanitsa Baturinskaya 2013. Madame Tussauds Life-size Figures of Famous People By Seymur Mekhtiev, Daniil Ivanushkin 6 G form. Madame Tussauds Jane Anshakova. 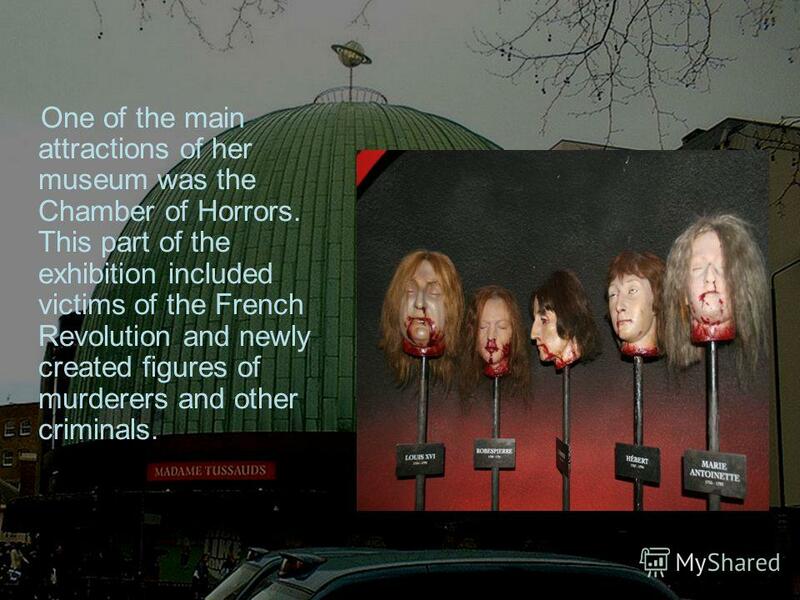 Marie Tussaud Madame Tussaud was born in Strasbourg in 1761 and christened Marie Grosholtz. Marie was asked to prepare. MADAME TUSSAUDS МУЗЕЙ МАДАМ ТЮССО. 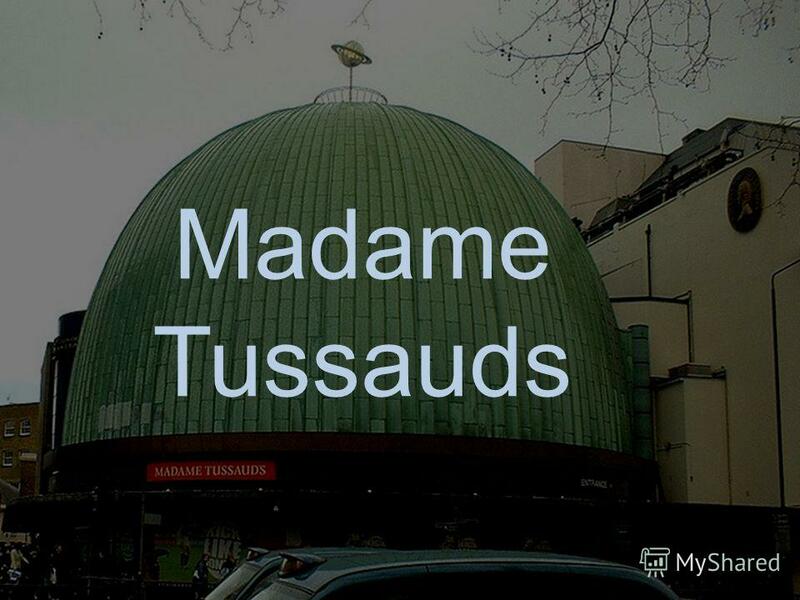 Madame Tussauds is a world famous waxworks museum, which is situated in London. Музей Мадам Тюссо – это всемирно известный. 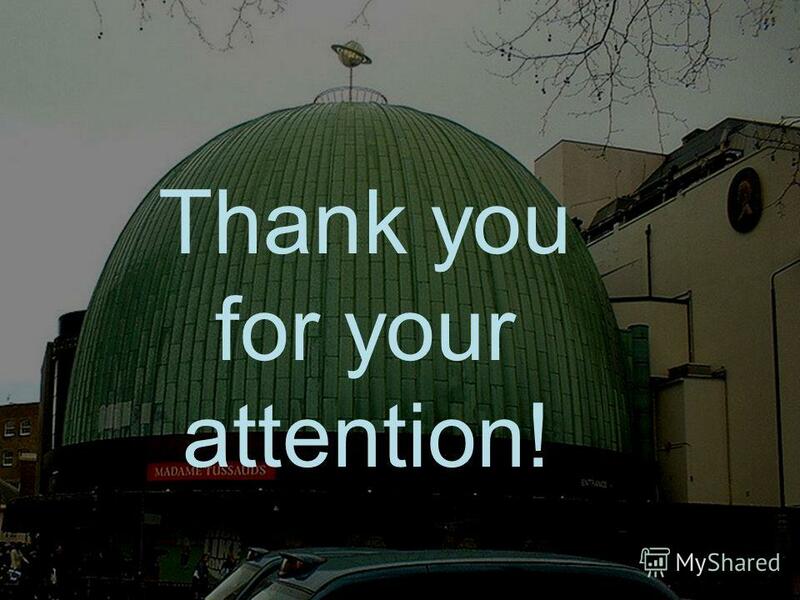 Madame Tussauds is the most popular and talked about wax museum in the world. There are wax models of the famous and infamous, both living and dead, from. Автор Федотова Ирина Владимировна Учитель английского языка ГБОУ 638 Пушкинского района Санкт - Петербурга. Last year we went to the museum of wax. It was very interesting trip to the world of wax dolls. 1. Buckingham Palace is the official London residence and principal workplace of the British monarch. The palace isn't open to the public. Buckingham.